The PhotoWings Resource Center is stuffed to the brim with great content. From Online Galleries to Lesson Plans, there is something for anyone looking to learn and be inspired by what photography can do. Here are five of our favorite photography magazine websites featured in the Publications section of our Resource Center. Each offers a unique perspective on contemporary photography, highlighting the breadth and wealth of work being done by the photography community today. Deep Sleep is a quarterly online photography magazine founded by a small group of contributors who share the same office space in East London. Each issue is on a specific theme and guest contributors are also invited to submit a set of images based on that theme. Deep Sleep seeks photography of the highest calibre, whether from experienced award-winning photographers or emerging young talents. There's no money involved. One of the founders' motivations was to do something untainted by the demands of the marketplace. It is very much a labour of love. Keeping the independent spirit of photojournalism alive, this on-line version of the serious print journal is home to a lot of important work that has been 'overlooked or under represented' in the mainstream media. The rich archive includes skillfully made multi-media reportages, storytelling and personal journeys, as well as features and interviews. 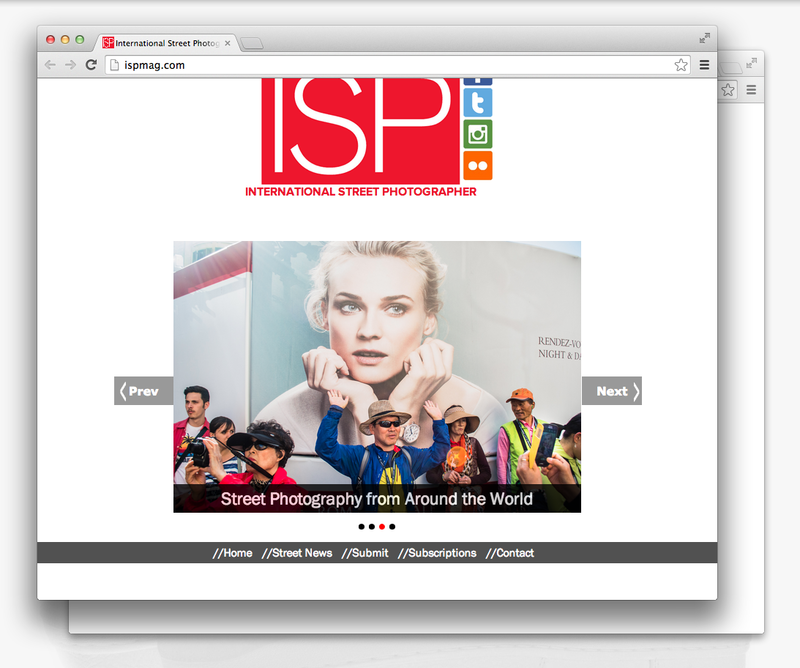 International Street Photographer Magazine is of course concerned with the venerable but still vital art of street photography, but more than that, ISP exposes perspectives from around the world on the work of making photographs. The bi-monthly publication covers a lot of ground, examining topics as varied as the challenges of legendary institutions of photography and the thoughts of a novice street photographer. Working from Walker Evans’ insightful and poetic statement “… photography […] is the defining of observation full and felt,” the online photo magazine Seesaw is dedicated to presenting photography that is the epitome of “acute observation.” Seesaw consistently offers work that, in a variety of ways, and from very different perspectives, finds the wonder of everyday life. Galleries of work by established and emerging photographers (not to mention found photographs) are framed by some excellent essays, reviews and interviews. One could spend a lot of time with this magazine, its very nature encourages the slow and attentive viewing of the often outstanding ensemble of work presented here. This is the online resource center for SF Camerawork, the San Francisco based community-minded organization that fosters the work of emerging and mid-career photographers. Exhibitions in their online and physical gallery spaces, a lecture series, workshops and bi-annual publications are there to engage the wider world on photography’s aesthetic and social concerns. The organization’s mentoring program, First Exposures, invites photographers to act locally and teach the craft to youth at risk.